The latest Opera and Rock mash-up sensation, The Jersey Tenors seamlessly perform some of opera’s greatest compositions alongside the best of Journey, Josh Groban, ABBA, and more. 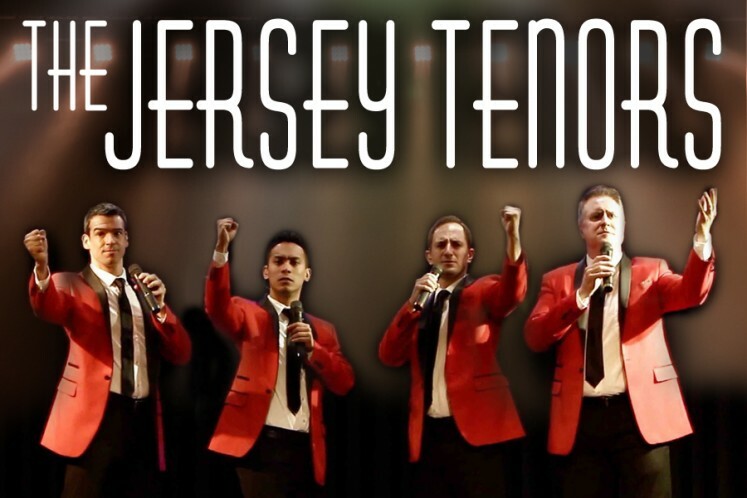 A Jersey-bred group through and through, The Jersey Tenors also highlight the most memorable sounds of New Jersey’s most famous musicians, including Frankie Valli, Frank Sinatra, Bon Jovi and Bruce Springsteen. It’s hard to put them in one genre or another and they like it that way. The Jersey Tenors have opened for Diana Ross, Dionne Warwick, Deborah Cox, and Chubby Checker, President George W. Bush, and were also featured on the season finale of The Housewives of New York on The Bravo Network. Featuring four talented, Broadway-credited vocalists backed by a six-piece band, The Jersey Tenors bring a vast musical repertoire together in one night of song that honors the sounds of Jersey and beyond. These four charming wise guys will raise the roof with their powerful voices, and will have you singing along before “youse guys” know it!